Exit Stage Left - Gail Nall. For ages 14+ . . . a digital exclusive, available now from EpicReads Impulse/HarperCollins! Available online Amazon / Barnes & Noble / Indiebound / Books A Million / iBooks / Kobo. It's hard to leave the drama behind . . . 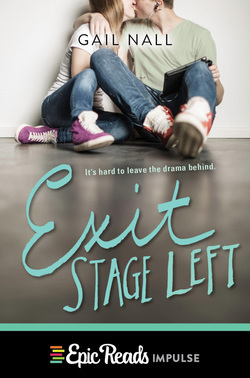 In this funny and sweet novel, perfect for fans of Fame, Casey works to find a new passion after her dreams of becoming a Broadway star are ruined.